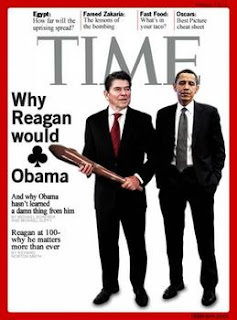 Have you noticed that President Barack Obama has been slipping in a Ronald Reagan reference every chance he can get? What you may not know is how distorted some of those insertions are for the debate at hand. Obama has justified his huge debt ceiling hike by saying that the United States raised the debt ceiling 18 times during Reagan's term. This is very misleading. Did Obama really believe that us old "Reganites" would not notice? 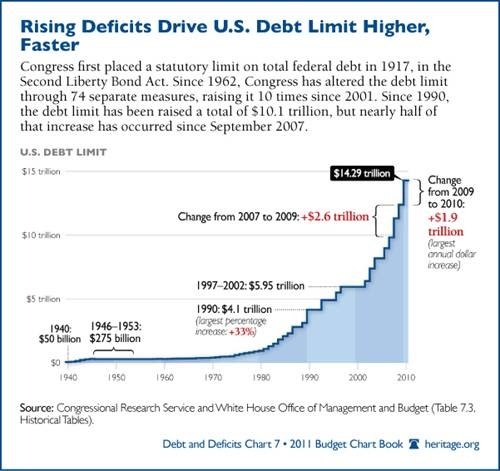 Tags: Barack Obama, Ronald Reagan, Debt Ceiling, fact checking, facts, Heritage Foundation, chart To share or post to your site, click on "Post Link". Please mention / link to the ARRA News Service. Thanks! Clearly, anything BO says is tinged with untruth. People who live within a continual lie are simply pathologically unable to to tell the truth. Of course, he steals anything that might make him look some better than he actually is since that is hi spathology. He shouldn't be allowed on the same cover, pretending to stand next to our President! it an abomination!!! Barack Hussein Obama and all the other Democrat/Statists voted against raising the debt ceiling in 2006. They were right then for the wrong reason. The debt debate should have been handled then but wasn't. 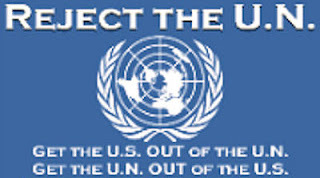 Now, Obama and the Statists want to increase the debt ceiling. The MSM should be asking, "What's changed?" Ben Bernanke and Timmy Tax Cheat Geithner claim economic catastrophe if the debt ceiling is not raised. Bernanke said that interest rates would rise as a result affecting everyone. Bernanke is head of the Fed and the FED sets the interest rates. So what is he talking about?